This bedroom blends white and black lacquer to create an extremely contemporary design. The bed is raised on a slight platform, making the modern bed appear to be floating. The attached nightstands are curved which adds to the elegance and beauty. The nightstands feature one drawer each. 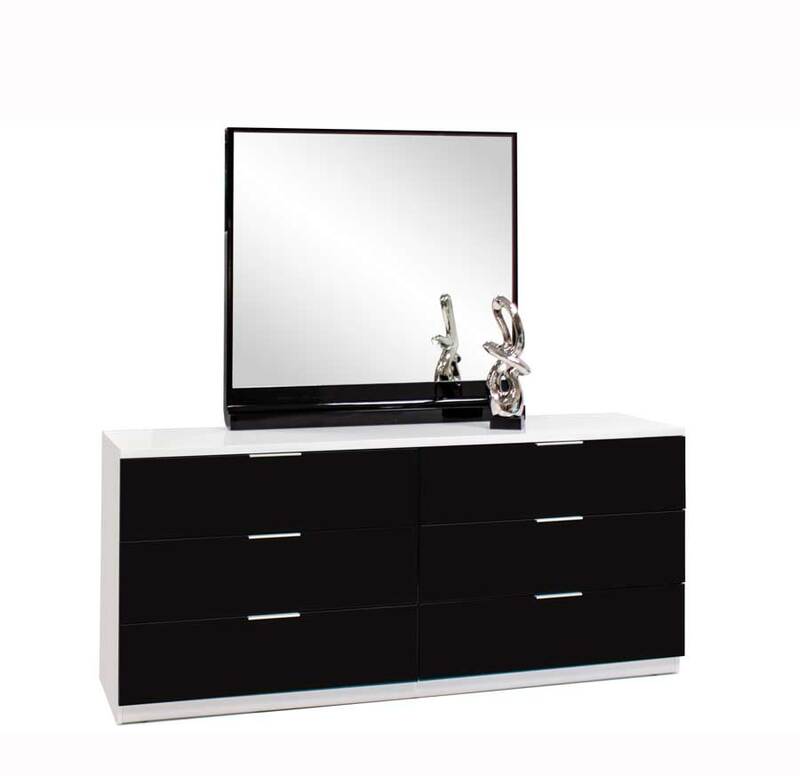 The white lacquer dresser with optional attached mirror includes six large drawers for extensive storage space. The black lacquer mirror has a curved bottom to compliment the bed's design. King Bed 128.75"W x 84.25"D x 47.25"